Quality legal services at affordable rates. Over 26 years of experience. Available 24/7. Weekend and evening appointments available. For more than twenty-six years, Theodore Sliwinski, Esq. has been helping people survive divorce and family law cases in the New Jersey Family Courts. He is a member of the bars of New Jersey, Pennsylvania and Connecticut. He has also handled hundreds of divorce cases all throughout the State of New Jersey. He graduated with Honors from Duke University in 1987. He also obtained a Masters in Law from Villanova University in 1992. Moreover, he attends many seminars on Divorce and Family Law practice each year. Free Phone Consultation and Review of Your Divorce or Family Law Case I would like to meet with you to give you additional information about your divorce case or family law matter. If you would like to meet with me, I will be pleased to set up an appointment with you. At this conference, you'll be able to learn all you need to know about your divorce case, or any other family law matter. This conference is free to you, will last up to an hour, and there is no further obligation at all. To arrange for your free phone consultation, you can call and leave a message 24 hours a day. Someone from my office will get back to you as soon as possible, if I am not immediately available. Here's How I'll Protect Your Rights; When we talk, I will analyze the facts of your case, give you my opinion about it, and discuss my approach to it. I'll explain how we'll protect your legal rights, what your options are, and how the whole divorce and family court process works, so you'll know exactly what happens. Plus, you'll learn how I will guide you through the family court system and how I'll protect your rights, and collect as much child support and alimony for you as possible. Moreover, we will discuss the terms of a fair and reasonable divorce settlement. I will also tell you about my fees. In summary, with my help you'll get: * A free initial phone consultation. * Personalized attention. I'll return your phone calls promptly, keep you informed, and answer all questions to help you rebuild your life. * Experience. For over 26 years I've helped people just like you survive divorce. * Aggressiveness. While I will seek to resolve your case quickly and in a fair manner, if necessary, I will also take a tough stance to protect your rights and interests. So, if you want an attorney you can talk to, who understands what you want, who is interested in you and your case, and who fights to get you results, call me today at (732) 257-0708 for your free phone consultation. You can also reach me on my cell phone (908) 208-8658. The first phone consultation is free, so there is no risk on your part; and you'll be able to get all your questions answered. If you would like to set up an in-person consultation then there is a $75 fee for a forty-five minute meeting. At our meeting I will give you an overview of your case, a proposed course of action, and an estimate as to the entire cost. In any event, at the end of the consultation you'll be more knowledgeable, you'll know what to expect in the divorce process and in the family court system, and be able to make more informed decisions about your case. The first consultation is $75. For uncontested divorces the fee ranges from $1,100 to $1,500. For more than twenty-two years, Theodore Sliwinski, Esq. has been helping people survive divorce and family law cases in the New Jersey Family Courts. He is a member of the bars of New Jersey, Pennsylvania and Connecticut. He has also handled hundreds of divorce cases all throughout the State of New Jersey. He graduated with Honors from Duke University in 1987. He also obtained a Masters in Law from Villanova University in 1992. 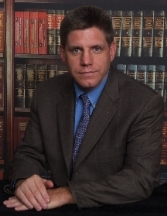 Moreover, he attends many seminars on Divorce and Family Law practice each year. I would like to meet with you to give you additional information about your divorce case or family law matter. If you would like to meet with me, I will be pleased to set up an appointment with you. At this meeting, you'll be able to learn all you need to know about your divorce case, or any other family law matter. This conference is free to you, will last up to an hour, and there is no further obligation at all. To arrange for your free phone consultation, you can call and leave a message 24 hours a day. Someone from my office will get back to you as soon as possible, if I am not immediately available. When we talk, I will analyze the facts of your case, give you my opinion about it, and discuss my approach to it. I'll explain how we'll protect your legal rights, what your options are, and how the whole divorce and family court process works, so you'll know exactly what happens. Plus, you'll learn how I will guide you through the family court system and how I'll protect your rights, and collect as much child support and alimony for you as possible. Moreover, we will discuss the terms of a fair and reasonable divorce settlement. I will also tell you about my fees. In summary, with my help you'll get: A free initial phone consultation. Personalized attention. I'll return your phone calls promptly, keep you informed, and answer all questions to help you rebuild your life. Experience. For over 22 years I've helped people just like you survive divorce. Aggressiveness. While I will seek to resolve your case quickly and in a fair manner, if necessary, I will also take a tough stance to protect your rights and interests. So, if you want an attorney you can talk to, who understands what you want, who is interested in you and your case, and who fights to get you results, call me today at (732) 257-0708 for your free phone consultation. You can also reach me on my cell phone (908) 208-8658. The first phone consultation is free, so there is no risk on your part; and you'll be able to get all your questions answered. If you would like to set up an in-person consultation then there is a $75 fee for a forty-five minute meeting. At our meeting I will give you an overview of your case, a proposed course of action, and an estimate as to the entire cost. In any event, at the end of the consultation you'll be more knowledgeable, you'll know what to expect in the divorce process and in the family court system, and be able to make more informed decisions about your case. Quality legal services at affordable rates! Flat rate of $1,100 to $1,500 for simple uncontested divorces. Weekend appointments available. Open 24/7. Response attorney. Returns all calls within 24 hours. A lawyer who likes to settle cases so that he does not have to run up bills for the client. For more than twenty-two years, Theodore Sliwinski, Esq. has been helping people survive divorce and family law cases in the New Jersey Family Courts. He is a member of the bars of New Jersey, Pennsylvania and Connecticut. He has also handled hundreds of divorce cases all throughout the State of New Jersey. He graduated with Honors from Duke University in 1987. He also obtained a Masters in Law from Villanova University in 1992. Moreover, he attends many seminars on Divorce and Family Law practice each year. Mr. Sliwinski is an attorney who dedicates his practice to providing quality and very affordable legal services to the public. Mr. Sliwinski believes that everyone should be able to afford quality legal services. He is committed to providing experienced and cost-effective legal representation. He will not run up your bill if there is any way to settle your case. He has over two decades of experience, and he has litigated in every county in the State of New Jersey. Call now for your free phone consultation. Open 24/7. Weekends and evening appointments available.